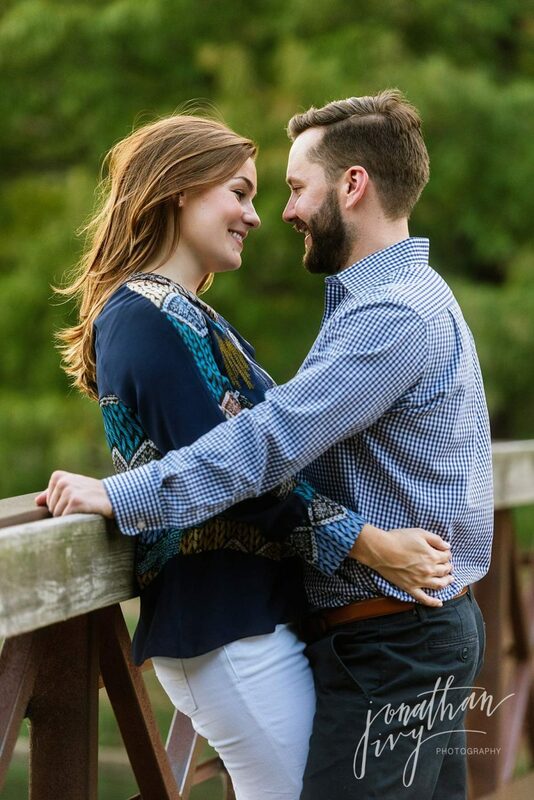 I am loving these fun engagement photos in Houston! We went to some beautiful tree lined streets, a couple of the well known parks, and finally to the gorgeous Houston skyline to capture these Texas engagement photos. The best part is that they brought their furbaby! Pet engagement photos are so much fun, it’s like their first family photos. Check these out for some great pet engagement photo ideas and make sure to bring your baby to your engagement shoot! I love these trees! The way the light hits the branches is beautiful!